This week has been a grand Purim adventure! 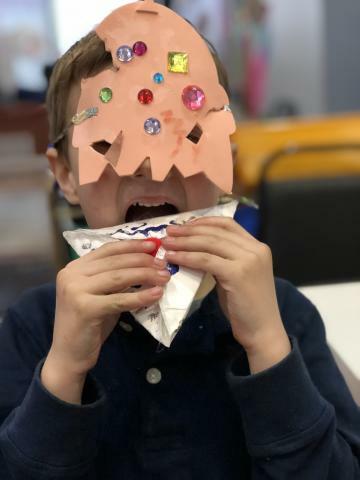 We celebrated with sweet treats, fabulous crafts, and wacky theater. Read on for the delicious details! We baked our own hamantashen and we also made hamantashen groggers, but we kept our wits together enough to tell them apart. 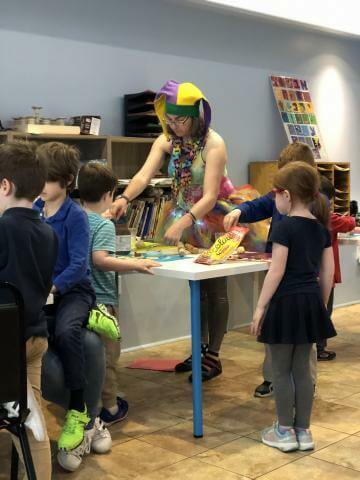 We have spent the past couple weeks crafting and rehearsing our very own Purim Shpiel, complete with homemade props and costumes, dance parties, and a Megillah reading from our very own Gaby Marantz. 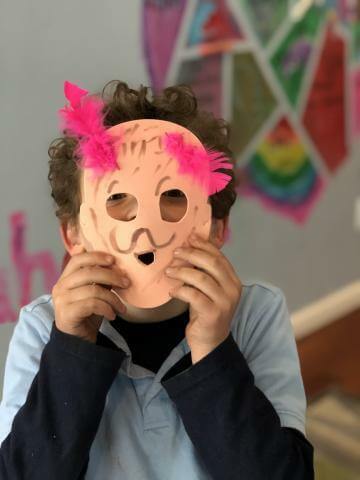 Kiddos made fabulous masks to complete their Purim costumes. During snacktime learning we compared the Purim story to the Pesach story over soft pretzels and ice cream. We reflected on the challenges that the Jewish people overcame in those two stories, and celebrated the resilience of the Jewish people. 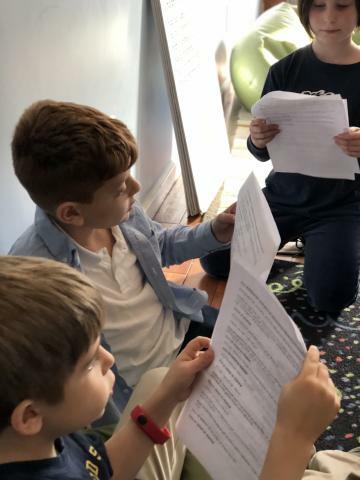 We talked about the part of the haggadah that reminds us “bechol dor vador”: In every generation Jewish people were oppressed, in every generation the brit (God’s two-way promise with the Jewish people) was kept, so in every generation it’s important for us to remember the oppression and the overcoming. We talked about how we as individuals can thrive through difficulties in the same way that we as a people have. It has been a wacky week at Makom Community. 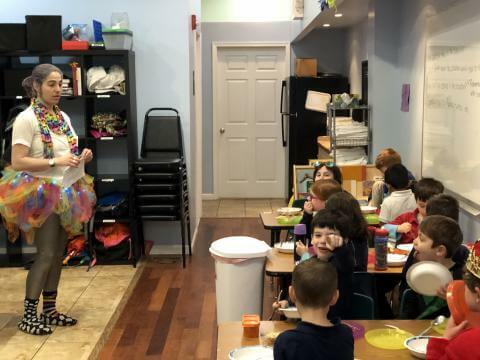 Thank you for celebrating Purim with us! Stay tuned next week as we prepare for Pesach!